The International Conference on Acoustics, Speech, and Signal Processing will be held on 12-17 May 2019 in Brighton, UK, and will feature both a tutorial and special session focused on NILM. This special session has been organised by Stephen Makonin and Angshul Majumdar. Further details can be found on Stephen's blog. We’re pleased to announce that the Fifth European Workshop on Non-intrusive Load Monitoring will be held on the 1-2 October 2018 in Duisburg, Germany. 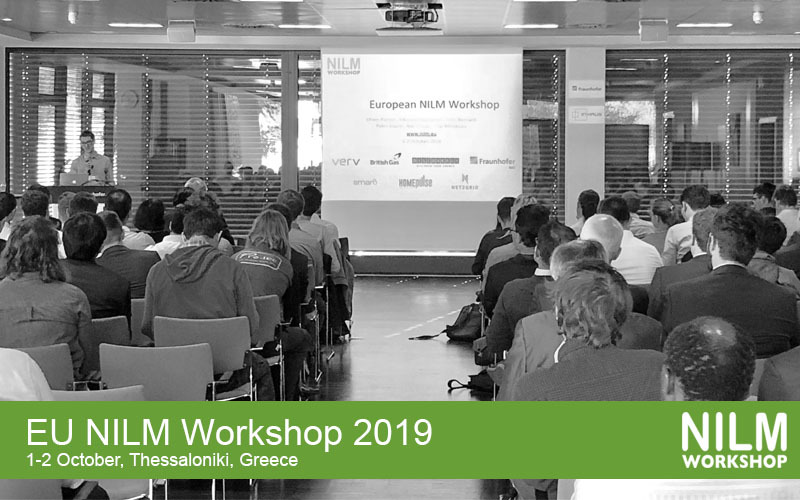 The aim of the European NILM conference series is to bring together all of the European researchers that are working on the topic of energy disaggregation in both industry and academia. See www.nilm.eu for full details. There are a limited number of tickets so please register as soon as possible. We invite attendees to submit presentation abstracts via this Google Form by 1 August 2018. We will aim to build a balanced agenda from a combination of invited talks and submitted abstracts, while the remaining submissions will be invited to present a lightning talk and a poster. Since the workshop will not feature published proceedings, we encourage relevant submissions which have previously appeared at other venues. We also welcome submissions from companies with results or data which they are willing to share with the community. 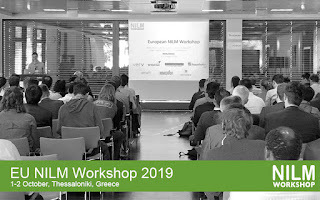 We have a number of sponsorship options for the workshop, including opportunities to give a full presentation, present a demo, and exposure on the website and slides. We need sponsorship in order to provide lunch, refreshments and an evening reception, so please get in touch via sponsors@nilm.eu if you’re interested! We look forward to welcoming you in Duisburg! Credit to Stephen Makonin for cutting up the videos and uploading them! BLOND-50 contains 213 days of measurements sampled at 50 kHz (aggregate) and 6.4 kHz (individual appliances). BLOND-250 consists of the same setup: 50 days, 250 kHz (aggregate), 50 kHz (individual appliances). Kriechbaumer, T., & Jacobsen, H. A. (2018). BLOND, a building-level office environment dataset of typical electrical appliances. Scientific data, 5, 180048. We're looking for an experienced Data Scientist to join our team at Hive in London. Hive is best known for its Active Heating product, which lets you control your heating and hot water from your mobile, tablet or laptop. However, we also work closely with British Gas on their My Energy product, which provides customers with helpful insight into their energy consumption. We're looking for applicants with a scientific background (general machine learning knowledge), practical data analysis skills (ideally python stack), as well as experience in energy analytics (disaggregation would be a huge bonus!). The full job spec is available on the Centrica jobs portal, but if you're thinking of applying do drop me an email first :) We're aiming to fill the role in the next few weeks, so please apply soon if you're interested!